Ninja Pendisk is a free application designed to protect computers from getting virus infections transmitted through USB media storage devices such as external hard drives and flash disks. Ninja Pendisk doesn't require any configuration settings, it does everything by itself. The program runs discretely in the system tray and becomes active the moment you insert a USB storage device into your computer. 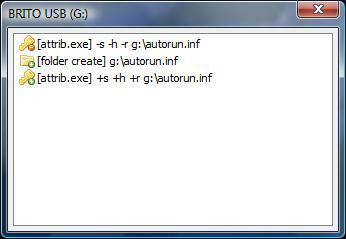 The USB storage device will be scanned for malicious or virulent files, including "autorun.inf" and "ctfmon.exe". Ninja Pendisk is portable, self-contained and doesn’t need to be installed. Just download it and run it. An antivirus solution for the increasingly popular Linux platform.